Dealstorming is a proven process that can break through almost any sales deadlock through collaboration. It innovates the brainstorming process and reimagines account management for today’s increasingly complicated sales environment. Dealstorming drives sales innovation by combining the wisdom and creativity of everyone who has a stake in the sale. You may think you are applying teamwork to your challenges, but don’t be so sure. There’s a good chance you’re operating inside a sales silo, not building a truly collaborative web across your whole company. The more disciplines you bring into the process, the more outside-of-the-box (but effective!) solutions the team can come up with. 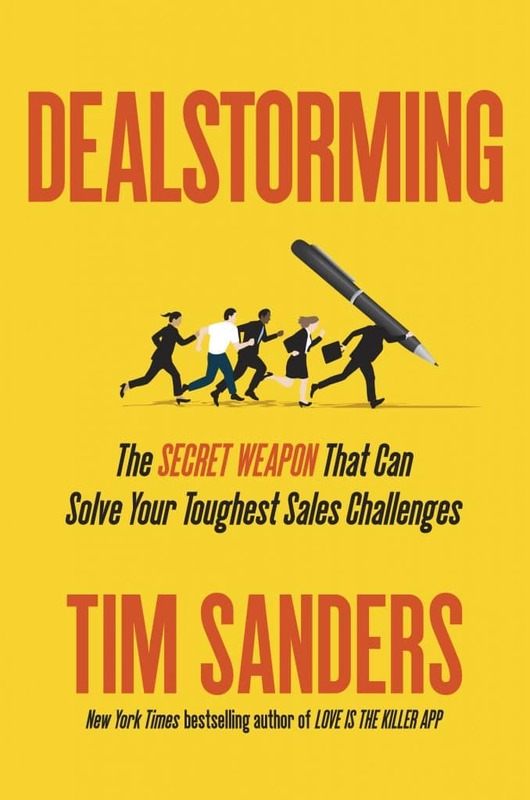 You’ll learn how to get the right team on board for a new dealstorm, relative to the size of the sales opportunity and its degree of difficulty. The key is adding people from non-sales areas of your company such as operations, marketing or engineering, driving collaboration early in the process. That will give them a strong sense of ownership of execution and delivery after the deal is done. The book includes real world examples from major companies, along with problem finding exercises, innovation templates, and implementation strategies you can apply to your unique situation. It’s based on Sanders’ many years as a sales executive and consultant, personally leading dozens of sales collaboration projects. It also features the results of interviews with nearly two hundred B2B sales leaders at companies such as LinkedIn, Altera and Novell. – Mike Bosworth, author of Solution Selling, Creating Buyers in Difficult Selling Markets and co-author of What Great Salespeople Do.